Nominated as a Director to Watch by leading US journal Directors & Boards as one of twelve directors to watch in North America in 2015. “The idea is to showcase women directors [who] will continue to contribute to and help define the corporate governance agenda for publicly traded and privately held companies”, says Scott Chase of Directors & Boards. 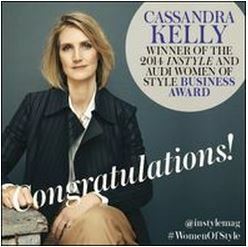 Winner of the 2014 InStyle Women of Style Business Award. “Not only are these women true leaders in their fields, they operate with integrity and are committed humanitarians. They are true Women of Style,” says InStyle editor Kirsten Galliott. 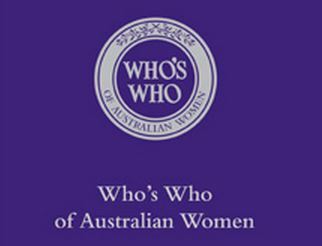 ﻿Listed in the Who's Who of Australian Women in 2011, 2013, and 2014. 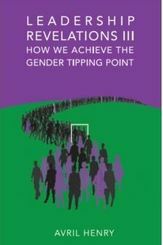 The book honors the lives and achievements of women from a diverse range of endeavors. Nominated as one of Australia's 100 Women of Influence in 2012 by the Australian Financial Review and Westpac . The nomination "recognizes outstanding women who are using their influence to improve business and society" says Narelle Hooper & Catherine Fox of the AFR. Read more here. Profiled as a Woman to Watch in 2010 by the Australian Financial Review. The article profiles women who "reflect the wealth of talent out there" say Marsh Jacobs, Lucinda Schmidt, Narelle Hooper and Catherine Fox of the AFR. In Leadership Revelations III, Avril Henry shares insights from successful women on unfair treatment, myths that surround women at work and practical strategies for creating gender equality for women and men. "[Creating gender equality] is one of the most significant opportunities that we have to ensure greater global prosperity"
"Be courageous. Even if you are feeling daunted by the fact that you're probably one of the few women in the room, speak up and out and have your views counted." In Issue 10.7, Human Capital Magazine published a special report on learning and development and retention and interviewed Cassandra about these practices at Pottinger. "Pottinger is seeking to build careers, not just skills. So our development program extends beyond technical knowledge." "We've always said that we need to look first at reputation, then at relationships and only thirdly at results if we want to have good long term measures of whether we are succeeding." In V.126 N.2, InFinance spoke to leading financial services firms about what they are doing to improve Australia's productivity and featured Cassandra Kelly and Pottinger. "We founded the business with the view we would make hiring and firing decisions based on integrity and ability. Really good staff want both and our view is that you don't have to put aside your ethics to do interesting work." "You have to remember people are individuals, they know different things and some people pick up information faster than others."